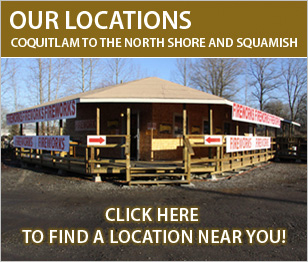 Welcome to the Fireworks Shop stores located in the Lower Mainland. We carry a wide variety of family fireworks and glow products for sale Halloween and New Years. Our policy is to provide a safe and exciting selection of products. We offer pamphlets on where to find the correct by-law information for your local area. We also provide pamphlets on safety information regarding the safe firing of family fireworks plus answer any questions about the products that we carry in a polite and professional manner. The Fireworks Shop is open Halloween at our two locations in North Vancouver. Normally we are open 7 – 10 days prior to the holiday and between 10 am till 8 pm. Halloween is our most popular time and we ask that you to come early to avoid line ups. We are currently planning to sell family fireworks year round through our online store. Stay tuned, fire safely and keep family fireworks around for everybody to enjoy.